Group shot of women all seated on a couch and the floor. 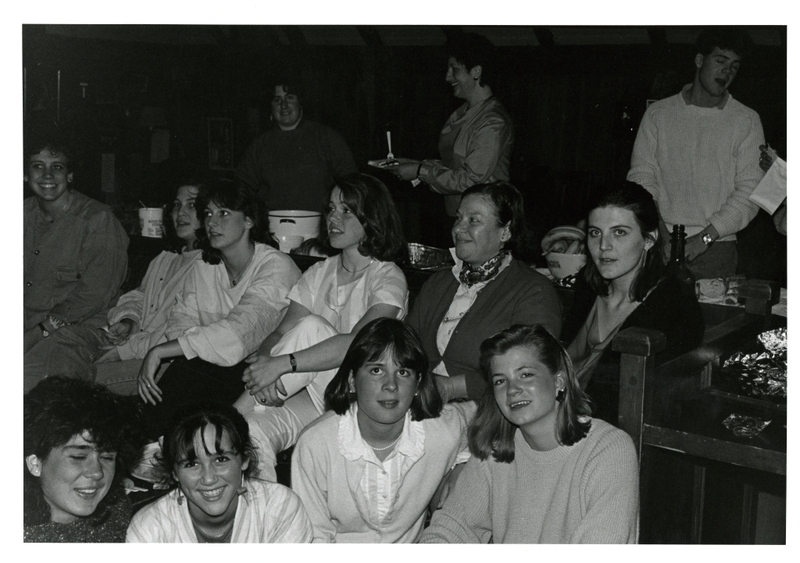 Left to right (back row): Unknown, Yana E. Salomon, Shawn C. Goodwin (Bowdoin 1988), Melanie S. Johnson (Bowdoin 1988), Unknown, Unknown. The women in the front row are unidentified.